Which foliar fungicide active ingredients are registered for which cereal diseases in WA? This information is provided for wheat, barley and oats, along with details on how to apply fungicides effectively and minimise the risk of fungicide resistance developing. For details on foliar fungicide application rates, adjuvants, withholding periods and other instructions please refer to product labels. Effective fungicide use depends on the following areas. Fungicides are effective only on diseases that are caused by fungi. Sometimes plant symptoms resemble those caused by pathogens but they are actually caused by non-pathogens, such as nutrient deficiencies or toxicities and adverse weather conditions. A disease diagnosis service is provided by DPIRD Diagnostic Laboratory Services (DDLS). PestFax provides useful up to date information on diseases present throughout the wheatbelt each season. Once you have correctly identified the disease, refer to the tables provided under 'Documents' on the right for registered active ingredients in WA. For details on which products or trade names contain a specific active ingredient search the online PubCRIS database (free) or Infopest (subscription required) or contact your agronomist or chemical provider. It is vital that product labels are read before application to identify: that the chemical is registered for use on the crop and for the spectrum of diseases present, the withholding period, and any specific application instructions. Be careful of tank mixes with other products. In some instances fungicide sprays need to be mixed with an adjuvant (refer to label). Most of the information on optimal application timing is available on fungicide product labels. Fungicides are better applied in the initial stages of a disease outbreak so routine crop monitoring is needed for timely application of fungicide. Follow-up fungicide application may be needed to extend protection in some situations. Refer to specific disease management pages on this site via the Crop disease: forecasts and management page for recommended application timings. Apply fungicide to the plant surface by using correct application methods including correct choice of volume of water and nozzles to manipulate the droplet size. These are often described on product labels. Spray volume of 50 litres per hectare (L/ha) in case of ground spray and 20L/ha in case of aerial spray are adequate. However, in high disease situations, higher spray volumes will be beneficial. For fungicides to effectively reach their target, they need to be applied using medium sized droplets (100-300 micrometres). Research by DPIRD has found that ground and aerial application methods are equally effective in controlling disease in cereal crops. When choosing an application method, consider timeliness and cost of application (including potential crop damage). Responsible use of fungicides is key to delaying the development of fungicide resistance. Fungicide resistance occurs when populations of a pathogen develop which are no longer controlled adequately by fungicide application. This usually occurs as a response to repeated use of a single fungicide active ingredient. It can also occur through repeated use of closely related fungicide active ingredients using a similar mode of action. 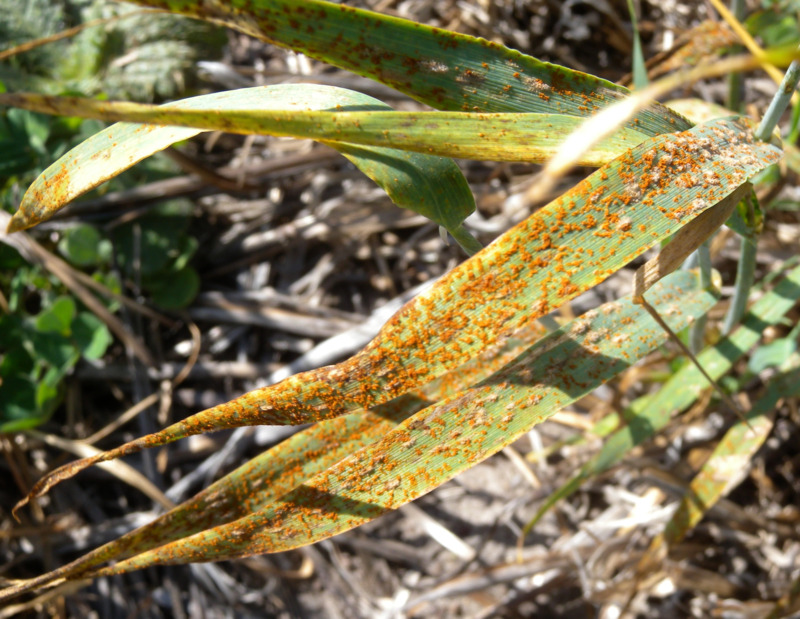 Fungicide resistance has been identified in barley powdery mildew and barley net blotches in WA. Rotating fungicides to prevent over-use of any one product or chemical activity group. As a general rule, avoid using the same chemical /mode of action more than necessary and follow label instructions. To help growers in this area, all fungicide products sold in Australia are classified according to the chemical activity group (mode of action) of their active constituent. The activity group is indicated by a number code or letter/number combination on the product label (for a complete list of all chemical activity groups see the fungicide activity group table on the Croplife Australia website). Don't forget that at seeding, fungicides need to be counted as well (that is, fungicide seed dressings or in-furrow fungicides applied on fertiliser). Ensuring that fungicides are working optimally by applying them in the most effective and appropriate manner. Before applying fungicide, ensure a disease is actually present. When applying fungicide adhere to disease threshold levels, target applications to control early disease stages and follow label recommendations, rates and coverage. Always use the label rates according to the manufacturers recommendations. Use fungicides in conjunction with other tools such as cultural practices and/or growing more resistant varieties so fewer or less frequent fungicide applications are required. 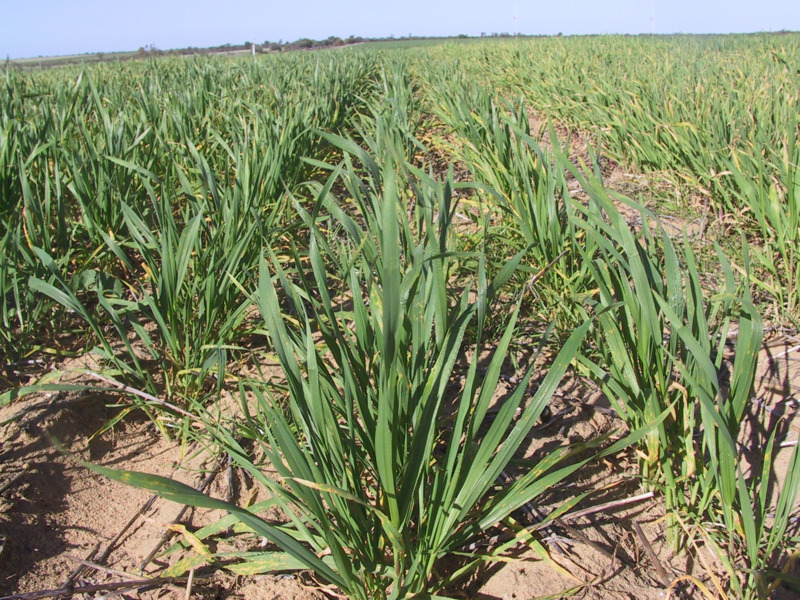 Tables of registered foliar fungicides for use on wheat, barley and oat crops in WA are updated each year and are available under 'Documents' on the top right hand side of this page. These are a guide only and product labels should be read carefully before application. To help us keep these tables updated please contact Ciara Beard with any new registration information. Disclaimer: Mention of trade names does not imply endorsement or preference of any company’s product by Department of Primary Industries and Regional Development and any omission of a trade name is unintentional. Recommendations are current at the time this page was prepared.